If it wasn’t for JAAN-Indonesia, this baby would have been born on the harsh streets of Jakarta because her mom was a ‘dancing-monkey’. These monkeys are voilently forced to do tricks to get money from the tourists. The monkeys live a miserable life full of stress and trauma. Jaan Indonesia rescues them, naturalizes them, and release them into nature where they belong so that they can climb in freedom forever! Little ” Stamina ” was born at JAANcentre after her pregnant mother ” Saras ” was confiscated. Mommy Saras was a dancing monkey. 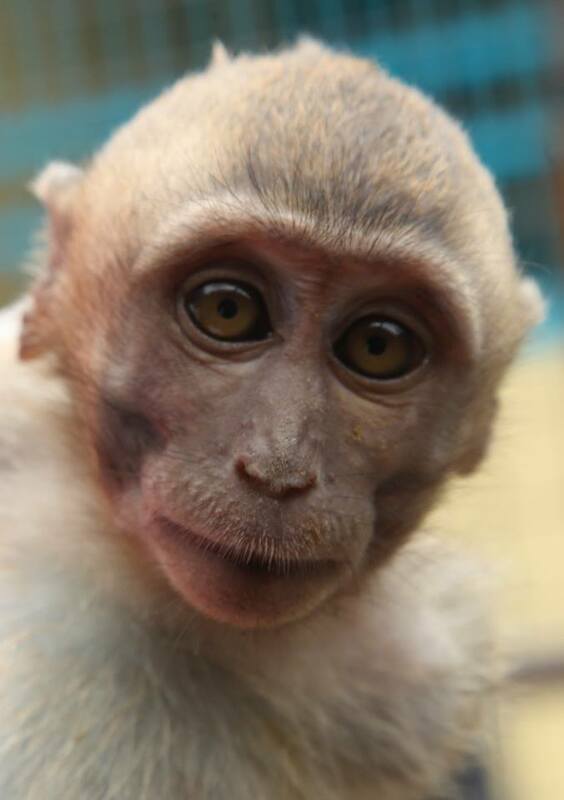 Stamina is doing good at JAAN with her ​​22 other “family members; all rescued dancing monkeys. Stamina ‘s care costs are paid by Green Monkie : ecowear ! Kleine “Stamina” is geboren bij JAAN nadat haar zwangere moeder “Saras” in beslag was genomen. Saras was een dansaapje. Stamina maakt het goed bij JAAN met haar 22 andere ‘familie leden; allen geredde dansaapjes. Stamina’s verzorgingskosten worden betaald door Green Monkie : ecowear! Wanna support GreenMonkie saving rainforest? Help us with a donation! Green Monkie eco-shirts TOP selling item of the Klimmuur!